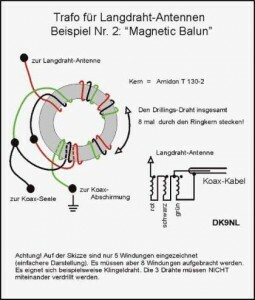 I read a long time ago from a end feed dipole with a magnetic or magic balun. So I tried this out. Nothing is magic on this balun. 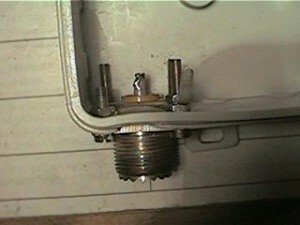 If you will take it right, this is not a balun (balanced/unbalanced), its a unun (unbalanced/unbalanced) ! 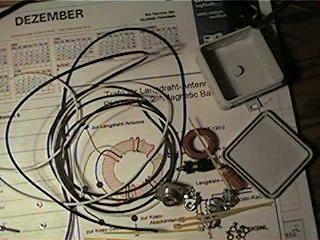 All stuff what we need to build the balun and the antenna. 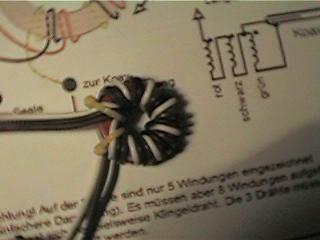 The Antenna wire is not in the Picture.It´s an isolated copper wire with 2mm. At first i make the balun. I take an magnetic balun Cirurit from DK9NL. Thanks to him, that he public this Cirurit. The toroidal core is an Amidon T130-2 with 8 times an triplet wire(take tree colors). Take time for this work. It hurts an little bit, but make it hart and exactly. I take an isolated 0,7 mm wire for this. I think you can give him about 500 Watts PEP (without guaranty). Then mount the PL Jacks. With the Dipmeter we can check the frequency the balun works. He works from 1.8MHz up to 35MHz. Thats enough for us. At 28 the SWR goes an little bit up. 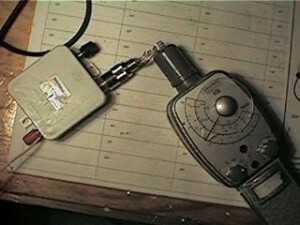 But you always need a antenna tuner! The magnetic balun only make a end feed line with e.g. 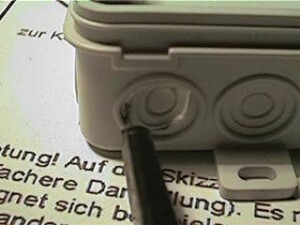 13.5m so, that you can handle it with the internal antenna tuner from your transceiver. I test this from 160 up to 10m. 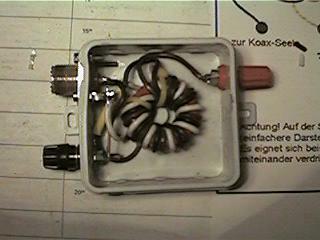 The antenna tuner can handle this 13.5m long end feed wire, so that you can make a QSO. But this is no wonder antenna! 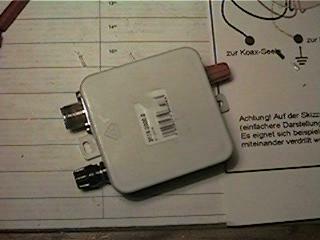 I find out, that this antenna is very loud and noisy, if you are in the near of some machines.